The Pyu Empire was a network of city-states which held power in what is now Burma, from the 3rd to the 9th century AD. The Pyu were Buddhists, and had a rich material culture which left behind, among other things, a wealth of gold beads and jewelry. 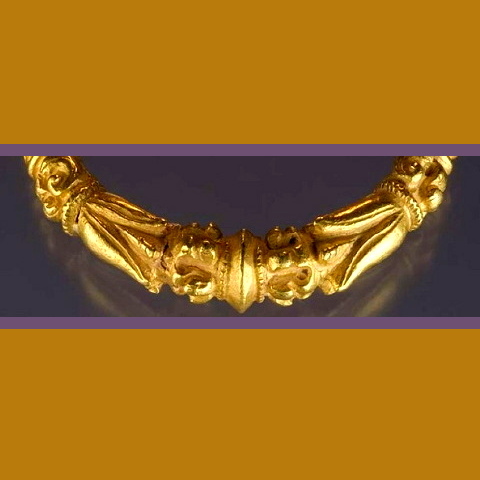 The armlet above is among the more remarkable Pyu pieces on the market. Its flower and seed forms (characteristic Pyu motifs), are beautifully formed and the overall effect of the piece is graceful and elegant despite its hefty weight.